These Off-White Miniature Leather Gloves are not only Conversation Pieces, Novelty Gifts, and Statement Décor, but may Function As Place Card Holders at Your Next Dinner Party or Reception Dinner. Quirky, Whimsical, and Fun Little Eye-Catchers as Small as 3.5”, and Rarely Larger than 13” in Length! The Gloves Pictured Represent Only a Few of the Ones Available in Off-White. If You Prefer a Particular Style or Color Please Call My Toll-Free to Inquire and Order: 877-441-5509. Order On-Line, and I will Select One for You. 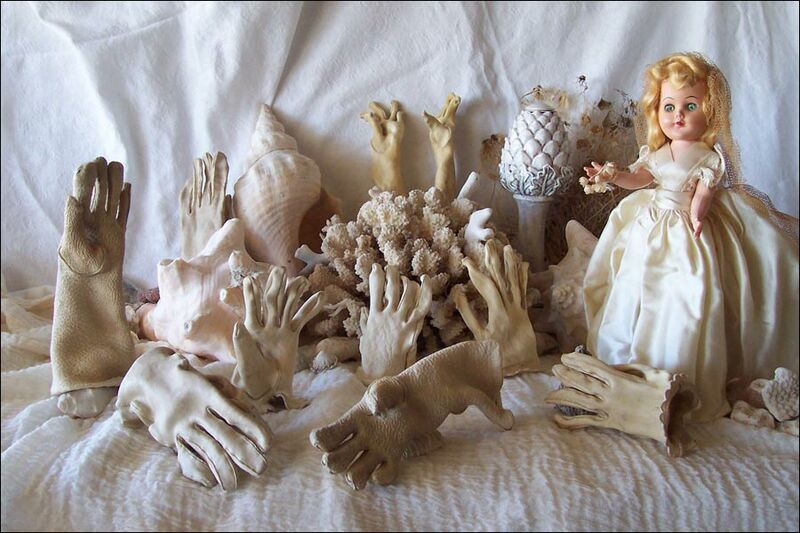 See Old Sea Coral in Unique Objects - Natural Elements.